Looking for an Amesbury Dentist? Call Dental Partners of Newburyport! When you move to a new town, there are a number of things to consider – school districts, hospitals, and yes – dentists! If you’ve recently moved to Amesbury or you’re looking for a new dentist in the area, the dedicated dentists and team at Dental Partners of Newburyport invite you to consider trusting our team with your oral health care. We’re less than fifteen minutes away, and our skilled Amesbury dentist, state-of-the-art dental practice, and comprehensive dentistry services make our office the trusted team for all of your oral health and hygiene needs. It’s an all too familiar story. You visit a new dentist’s office. The person at the front desk hardly looks up from the computer when you arrive. 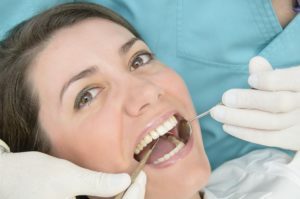 The dentist swoops in for just a few minutes at the end of your appointment, and he or she doesn’t even remember any of the recommendations they made at your last appointment. We hear these stories from many of our new patients, and that concerns us. At Dental Partners of Newburyport, we’re here to keep patients smiling. That’s why we take the time to get to know you and treat you with honesty and respect at every visit. Our Amesbury dentist and team truly offer a different kind of dental experience. Dental Partners of Newburyport is easily accessed from Amesbury by taking Interstate Highway 95 to State Highway 113. You can also take State Highway 110 to 113. Our office is located off of State Highway 113, called High Street in Newburyport. If you need help finding our dentistry practice, please don’t hesitate to contact our office. We’ll be happy to help you with step by step directions on the day of your appointment. Comments Off on Looking for an Amesbury Dentist? Call Dental Partners of Newburyport!